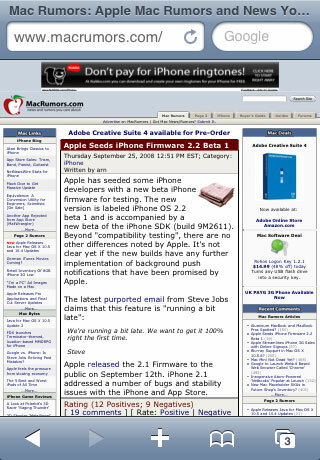 The release of the beta of the iPhone 2.2 brought few obvious changes to the iPhone's firmware. One tweak that was noted was that Mobile Safari got a bit of a refresh, moving the Google search bar into the title bar. In the current version of the iPhone, the Google search only appears when you tap on the address bar.